Emerson Unitarian Universalist Chapel is a warm and welcoming liberal religious community based in St. Charles, MO and serving members and visitors from all areas in west St. Louis county (and further afield). We welcome all ages, classes, sexual orientations, gender identities/expressions, races/ethnicities, abilities, and religious backgrounds. Our worship service and religious-education classes are held on Sunday mornings at 122 North Fifth Street in Saint Charles. You are warmly invited to visit us! Unitarian Universalists are united not by creed or dogma, but by values expressed in Seven Principles. The first principle is to affirm and promote the inherent worth and dignity of every person, and each principle is drawn from many sources. Individuals and congregations seek inspiration from and derive spiritual practices from all major world religions. Unitarian Universalists identify with a wide variety of beliefs, ranging from theistic to agnostic to atheistic beliefs, from scientific humanism to Unitarian Christianity to Judaism, and including earth-centered and Eastern-focused practices. Valuing intellectual freedom and inclusive love, Unitarian Universalists encourage each another to seek their own spiritual truths and support each other along the way. For background on Unitarian Universalism, whose roots go back to the 16th century, click here. Our purpose is to transform ourselves, our community, our world. Our mission is to provide a liberal, welcoming community that nurtures people on diverse spiritual paths through engaging worship, collaborative learning, and social action. Part of our vision is to be a beacon of liberal religion and service that's recognized as a source for stimulating spiritual, social, and intellectual interaction. We belong to the Unitarian Universalist Association (UUA), an association of more than 1,100 congregations—all self-governing—in the U.S. and beyond. Headquartered in Boston, the UUA provides services that congregations cannot provide for themselves. We also belong to the MidAmerica Region of the UUA, which provides a variety of consulting services to us and 199 other congregations in 13 nearby states. 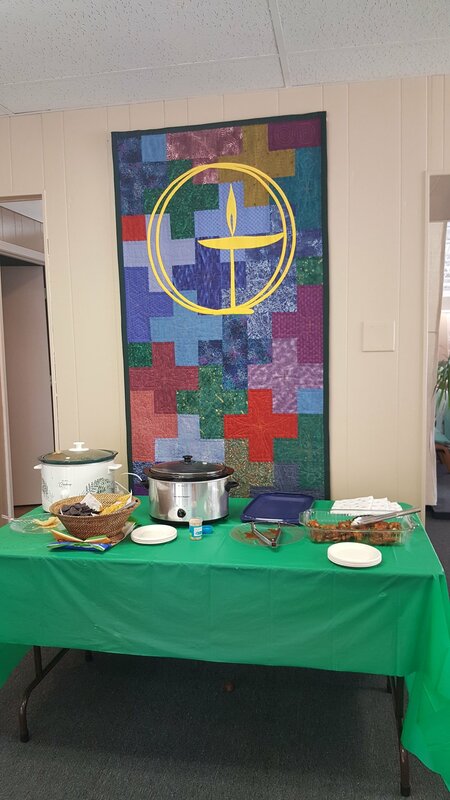 A Covenant of Right Relations among members and friends of Emerson Unitarian Universalist Chapel supports the development and maintenance of a healthy congregation. You can read this Covenant here.